With spectacular scenery, and known for its quality and service and for being family friendly, Villars offers skiing between 1300m and 3000m, in the Lake Geneva region and is just 110km, by road, from Geneva. 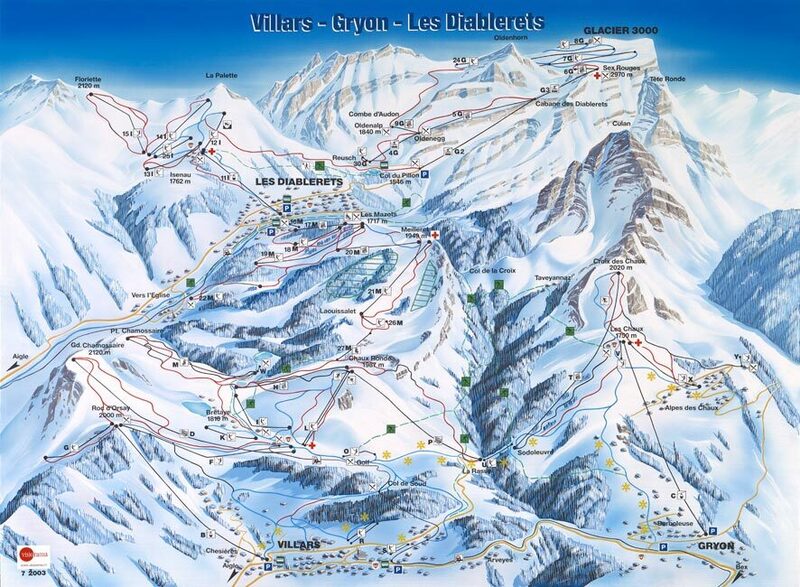 The slightly lower village of Gryon is an alternative base and between them they provide 16,000 beds for tourists. In addition to 120km of pistes at Villars there are 200km of walking trails to explore and several sledging trails too. Mountain guides and heli-skiing are available for the more adventurous. The ski area at Villars has 27 lifts and 44 kms of cross country tracks. The extensive ski area links several resorts and a regional pass covering the skiing around Gstaad and Leysin is available too.